Maharaja Sawai Singh built Hawa Mahal in the year 1799. The palace is the most important part of the city which literally means the “Palace of Winds”. The Hawa Mahal is the signature landmark of the city. Hawa Mahal consists of the five-storied palace which is shaped in the pyramid structure. 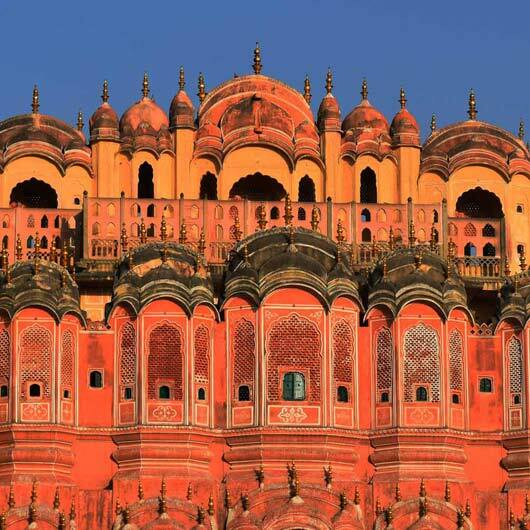 The Hawa Mahal consist the 953 fine and small casements. Maharaja Man Singh built Amber Fort in the sixteenth century, it spreads on the hillside. Its development was started by Raja Man Singh but completed by his son Jai Singh. 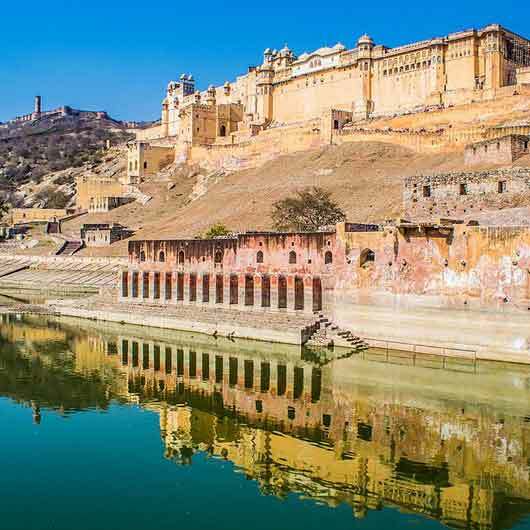 Amber is the classic example of rousseauistic Rajasthan fort palace. Amber today is nothing but a sign of the great past of the ardent Kachwaha Dynasty that controlled over this region from twelfth to the eighteen century. 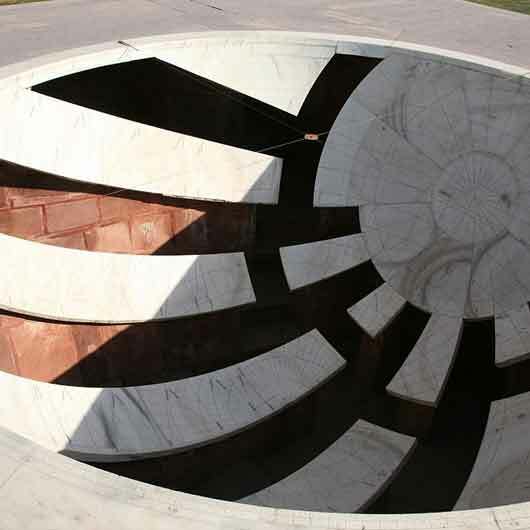 The Jantar Mantar is one an only century-old observatory in Rajasthan which is situated in Jaipur, is an astronomical observation site built in the early eighteen century. This comprises a group of some main twenty main fixed instruments. They are monumental examples in the masonry structures of known instruments but which in many cases have specific characteristics and style of their own. Composed for the observation of astronomical positions with the naked eyesight view, they embody several compositional and necessary innovations. The Jal Mahal Palace at Jaipur lies on the way to Amber fort and it is at a distance of six and a half km from the heart of city Jaipur. There are many monuments of the royal families which the tourists can explore and visit on their way to the palace. 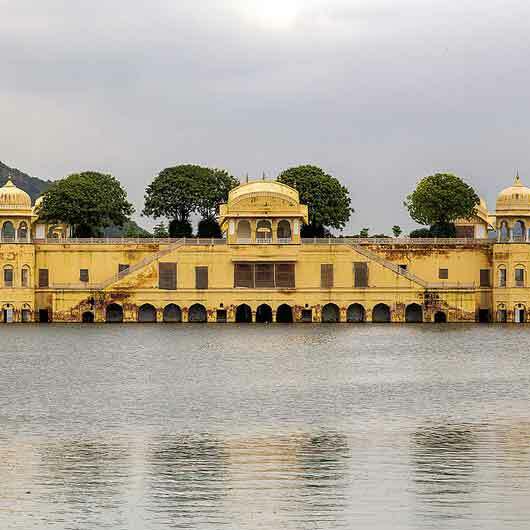 The Jal Mahal Palace is located at the center of the Man Sagar Lake, a couple will love this for lovey-dovey vibes. 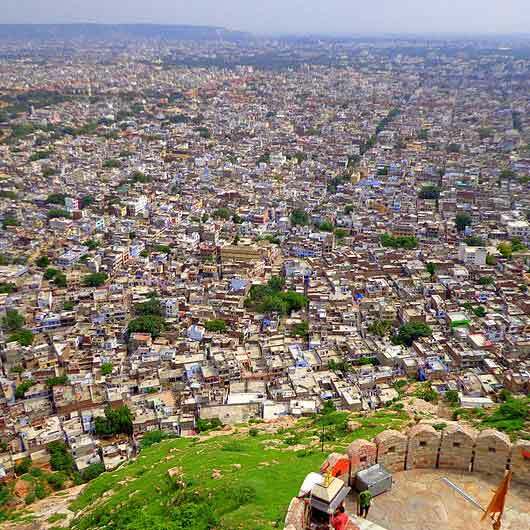 Nahargarh Fort sits contemptuously on a mountain of the Aravalli Hills, creating an extraordinary scenic northern backdrop to the city of Jaipur. 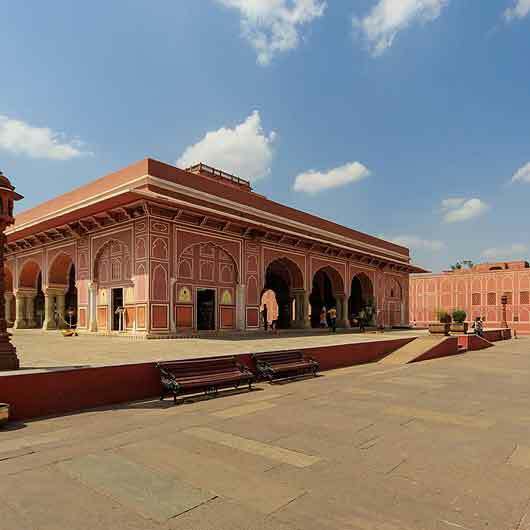 It was erected during the rule of Jai Singh in 1734 and was later extended in 1868. Nahargarh, which means home of tigers, was a difficult barrier, defending Jaipur against attacking enemies. The fort looks beautiful when floodlit at night. On looking by bird view the city, it presents a glittering view of the city lights.